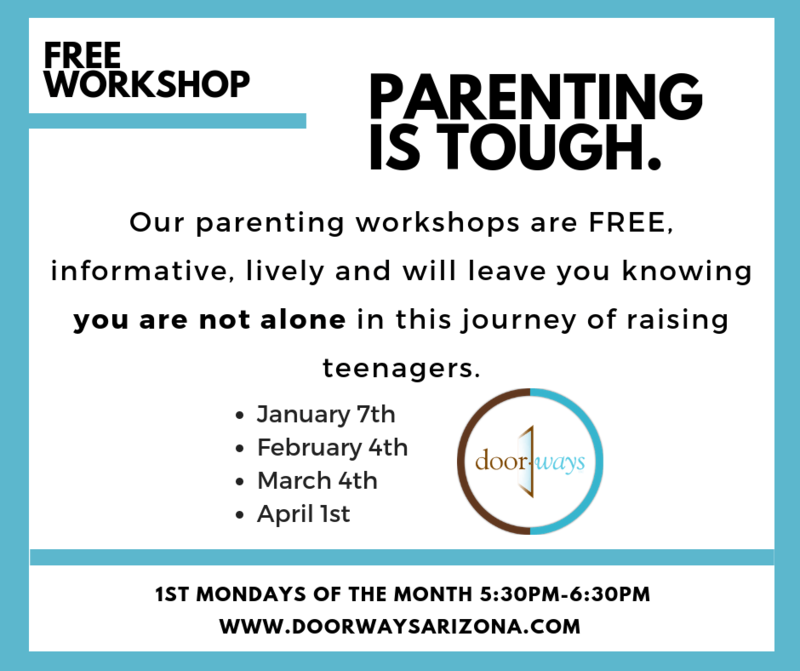 February’s Doorways Parenting Workshop will be focusing on Self-Esteem and your teenagers. We will explore the current effects social media is having on our kids. How does what they watch, subscribe to and give hours to affect their precious self-esteem? And what can we, as parents, do to encourage a true and right perspective on their self-perception and worth? Monday, February 4th from 5:30pm-6:30pm at Doorways for this Free workshop! Our parenting workshops are FREE, informative, lively and will leave you knowing you are not alone in this journey of raising teenagers. Jason has spent the last 30 years in youth ministry in Arizona and Oregon. He has a heart for young people and families and longs to see them living life to the fullest. He spends time in the outdoors as often as possible, has a recent growing love of pickleball and makes amazing pizza in his wood fired pizza oven at home. Jason is married, has 3 kids and is currently enrolled in the MFT program at the Phoenix extension of the Fuller campus. Jason has spent the last three decades working with teenagers and raising three of his own. The workshop is free, but seats are limited. Text 602-999-8389 to confirm your attendance.